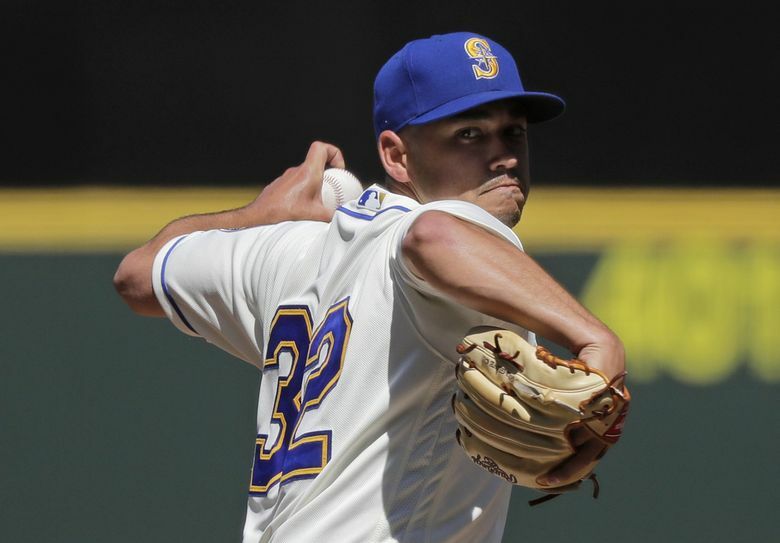 The Mariners made a few expected roster moves on Tuesday afternoon before the start of their two-game series with the Padres that will wrap up the penultimate homestand of the season. Left-handed pitcher Marco Gonzales was activated from the disabled list to start later that evening, while right-handed relievers Matt Festa and Nick Rumbelow were also recalled from Class AA Arkansas. The Travelers season ended on Monday with a loss in the Texas League playoffs. Gonzales, 26, went on the 10-day DL on Aug. 27 (retroactive to Aug. 24) with a cervical (neck) muscle strain. He missed 15 games with the injury that had been lingering in his previous three starts before the DL stint. In 25 starts this season, he is 12-9 with a 4.32 ERA with 128 strikeouts and 28 walks in 145 2/3 innings pitched Mariners this season. He leads the club in wins, while ranking second in strikeouts, third in quality starts (12), fourth in total starts and fourth in innings pitched. The 145 1/3 innings are a career high for Gonzales. The Mariners are hoping he can make three more starts this season to continue the process up his workload for next season. This will be Rumbelow’s fifth call-up to Seattle this season. He’s made nine relief appearances, posting a 6.75 ERA with nine strikeouts and three walks in 13 1/3 innings pitched. After starting the season on the DL, Rumbelow returned to action in early June.